Milan is a beautiful city, both historic and cosmopolitan, and is considered one of the hottest destinations in Italy. It is a mix of lovely modern buildings, large green spaces and historical landmarks. As for what to do in Milan, you are sure to find something to your taste. Known as one of the world’s leading fashion centers, Milan boasts plenty of shopping. You can enjoy an espresso at a small outdoor café or dine on fantastic meals in one of the city’s many restaurants. Milan’s Duomo or Cathedral is the fifth largest cathedral in the world and took almost five hundred years to build. It is a Gothic structure with 135 spires and over three thousand statues on its roof. You can climb to the roof or take an elevator, and take in the spectacular views of Milan. Atop the cathedral is the famous Baroque gilded bronze statue, Madonna and the square where the cathedral is located is Milan’s historical hub. Milan’s Santa Maria della Grazie is a fifteenth century convent and church which houses da Vinci’s “Last Supper”. The famous fresco survived a bombing in 1943 during World War II. It is recommended that you buy tickets at least two months in advance to see the painting, as it is one of Italy’s most visited sites. It may be a cemetery, but besides the graves, Monumental Cemetery or Il Cimitero Monumentale, boasts an impressive collection of classic Italian sculpture and Greek temples and obelisks. The cemetery is free to visitors and is not far from the city center. 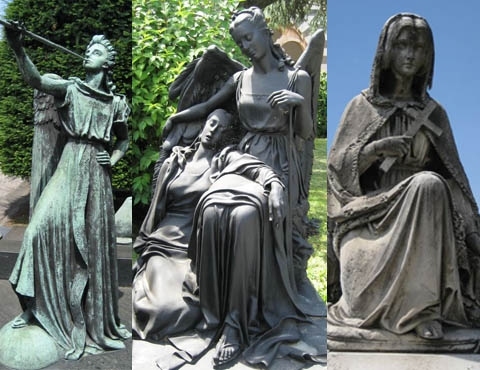 Enjoy strolling through the quiet and serene cemetery and seeing the breathtaking stone sculptures and other structures. A tradition in Milan’s countryside is the Sunday lunch where families spend an entire day talking, socializing and eating. If you notice, most of the restaurants are closed on Sunday because of this very tradition. Less than an hour from the city is the Oltrepo Pavese wine region, where you can indulge in local wines while enjoying this local tradition. After lunch, take a nice stroll through the town of Pavia. When it comes to what to do in Milan, you can also tour the Castello Sforzesco. Named for the Duke of Milan, Francesco Sforza built this castle in the fifteenth century on top of a medieval fortress built just a hundred years prior. The castle contains a few small museums, as well as fountains, a bridge built over an existing moat, a tower and frescoes adorning the interior walls. Throughout the year, visitors can enjoy special art exhibitions and concerts. There is a small fee for the museums, but touring the castle and its grounds is free. Part of the historic Piazza della Scala, the opera house, built in the eighteenth century is famous for hosting some of the world’s greatest operas, composers and singers. It houses a museum next door which you can also visit. La Scala is still recognized as one of the world’s leading opera houses, as well as hosting a ballet company and an orchestra. 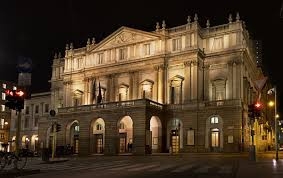 Even if you aren’t a fan of opera, to see one at La Scala is an experience not to be missed. The Galleria Vittorio Emmanuelle II is the oldest shopping mall in Italy, and a must see as it is located in one of the world’s fashion centers. At the center of the mall are beautifully tiled areas that represent four northern cities of Italy. It has been a tradition for people to spin over the bull which represents the city of Turin. It is believed that spinning over the bull’s private parts brings good luck. The spot, not surprisingly, is very worn down. Aside from the weird tradition, the Galleria boasts some fantastic shopping and restaurants. While in Milan, be sure to stop at Luini for a taste of the city’s famous fast food. Not really a calzone and not really a donut, the panzerotto is a treat that locals line the street for. It is a spongy flatbread that is slightly sweet with mozzarella and tomato sauce that is folded and deep fried. There’s nowhere to sit at Luini but the panzerotto is the ideal fast food to eat on the go. It’s also an inexpensive choice for lunch. While nowhere near the extent of the canals of Venice or even Amsterdam, Milan has two canals that you can take boat tours on during the summer. One of the canals was designed by Leonardo da Vinci, and even though you can easily overlook them, they are a pleasant surprise in the middle of a bustling city. 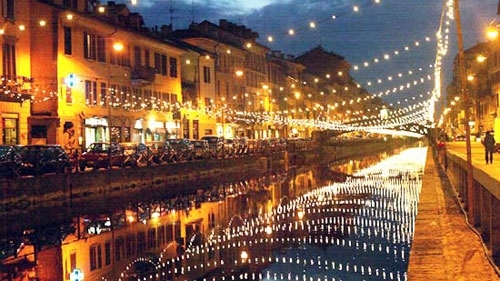 The Navigli wasn’t always the nicest neighborhood, but it has gone through a recent rebirth, attracting artists, galleries, shops, and restaurants. It also boasts a fantastic nightlife. Server responsed at: 04/25/2019 4:22 p.m.